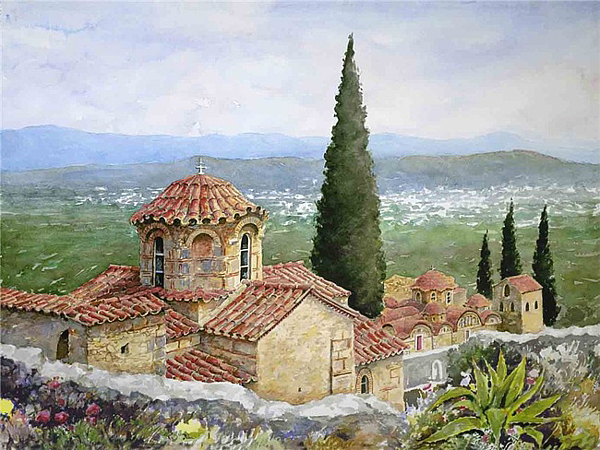 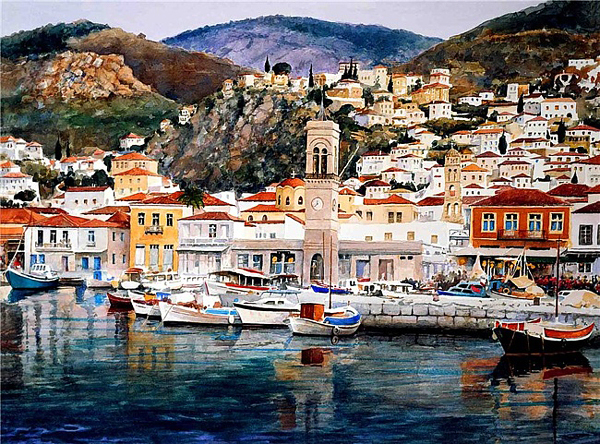 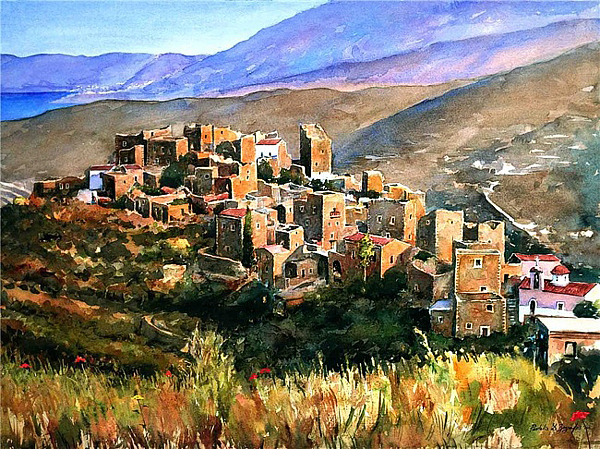 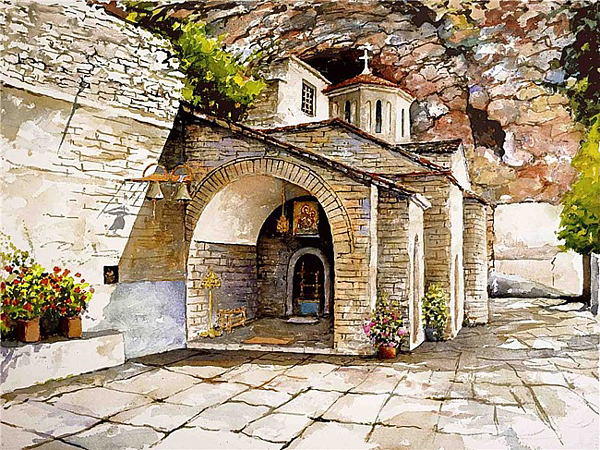 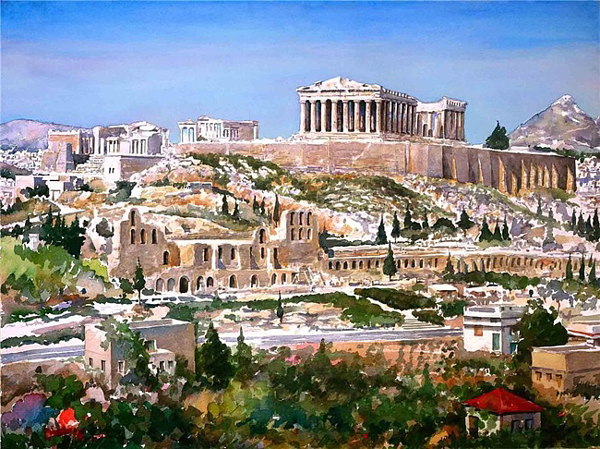 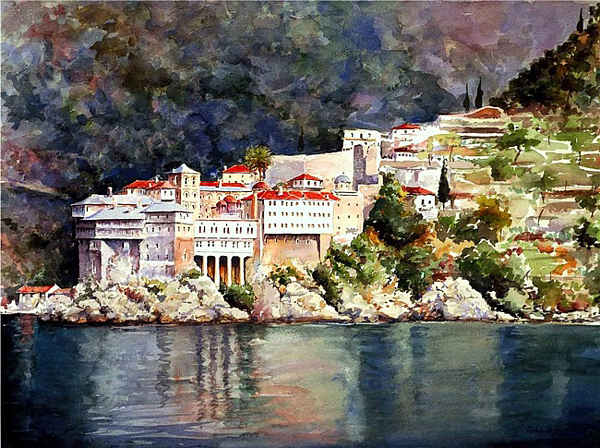 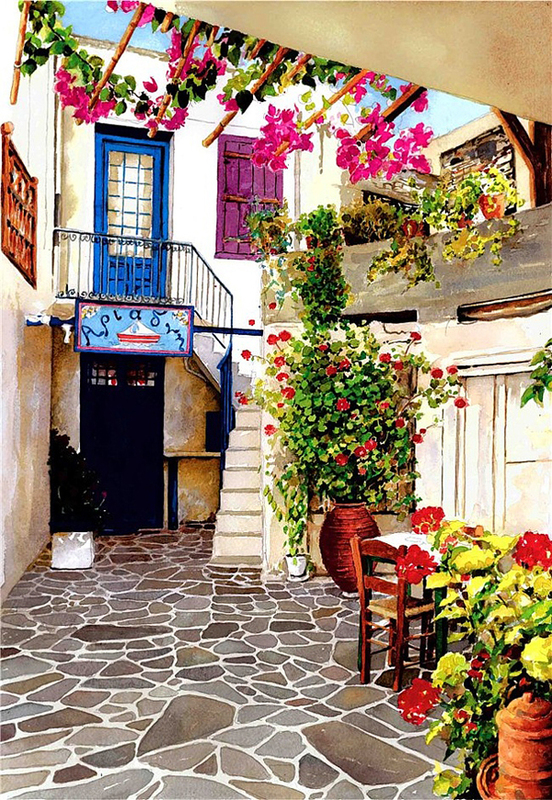 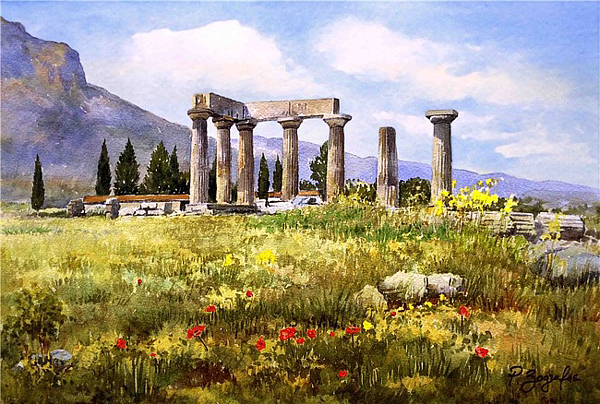 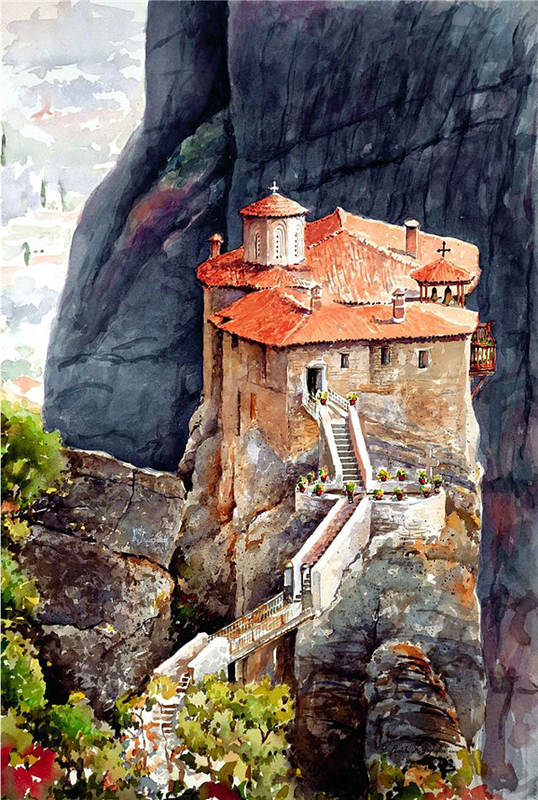 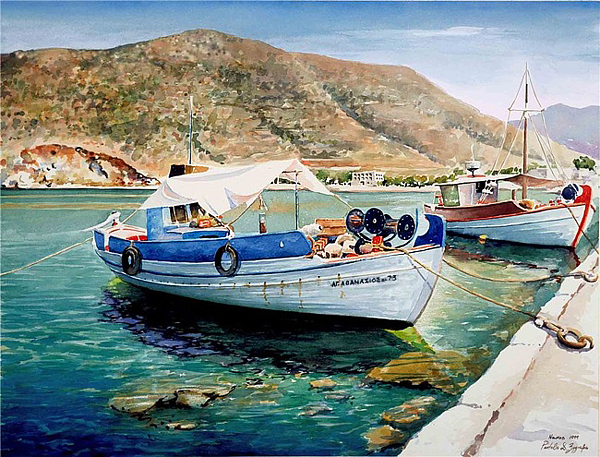 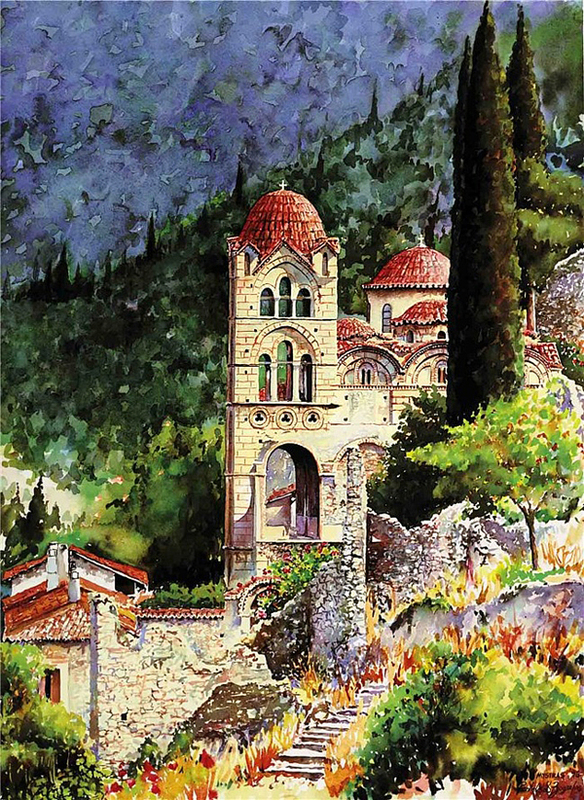 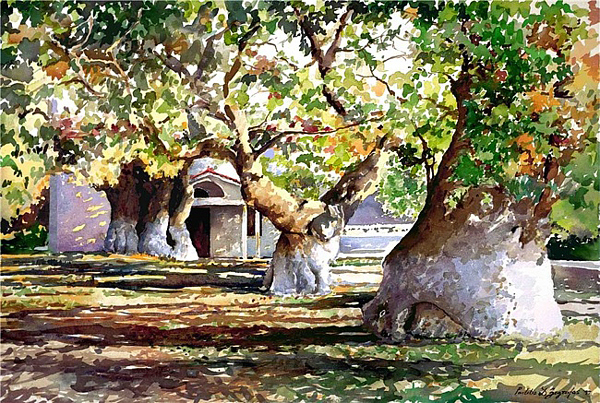 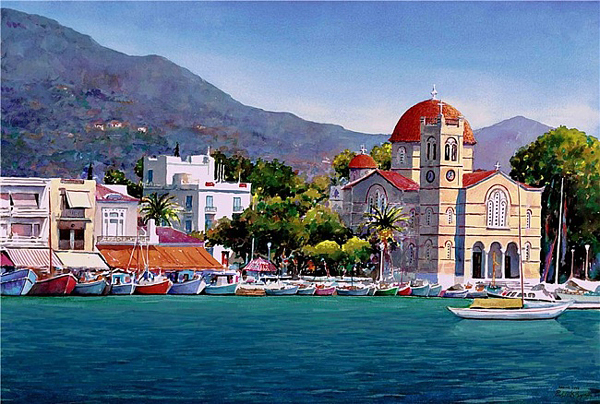 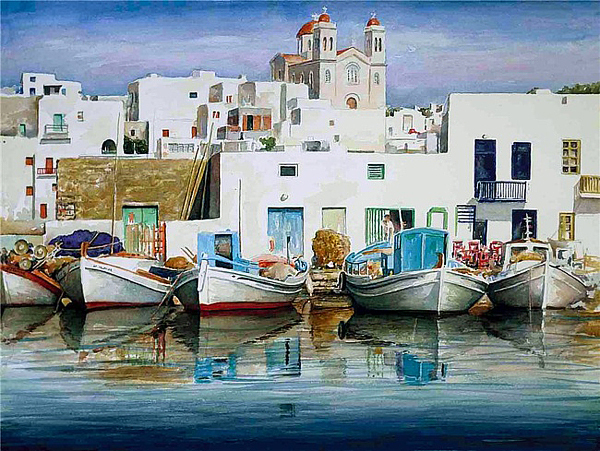 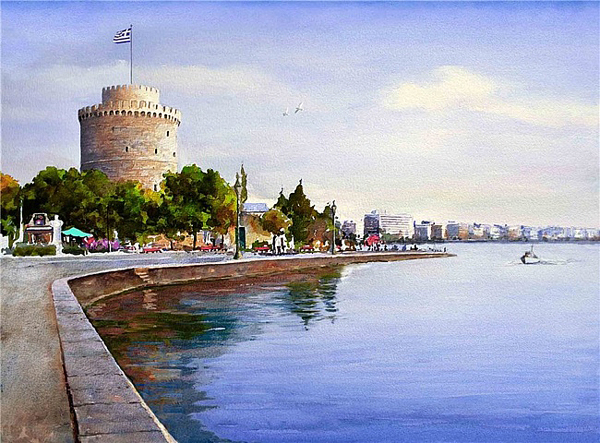 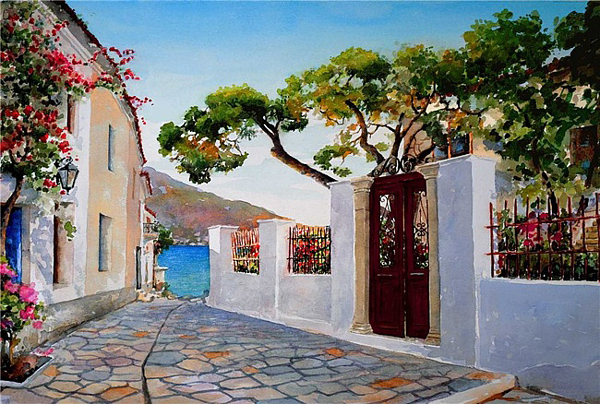 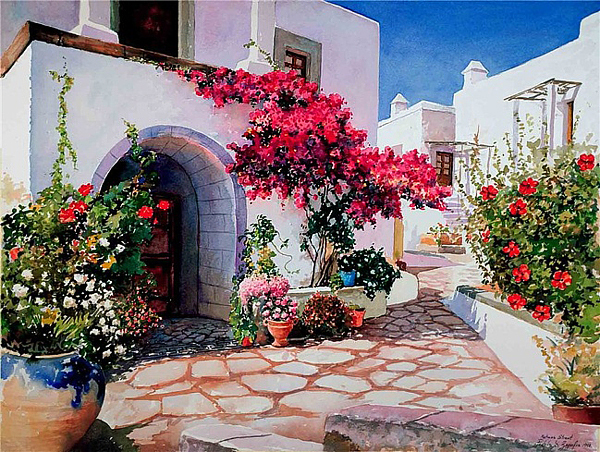 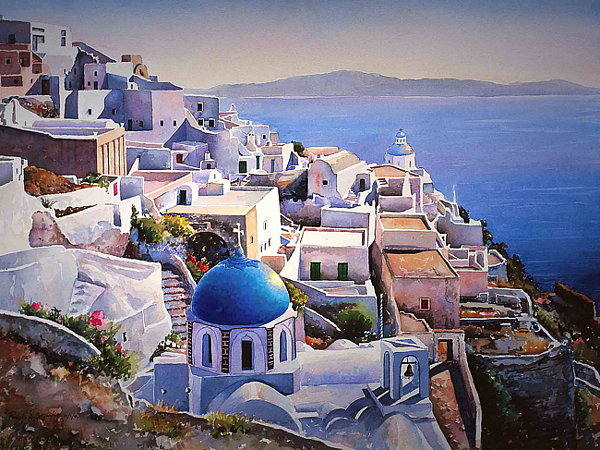 Today we want to show you stunning watercolor paintings of Greece created by artist Pantelis Zografos. 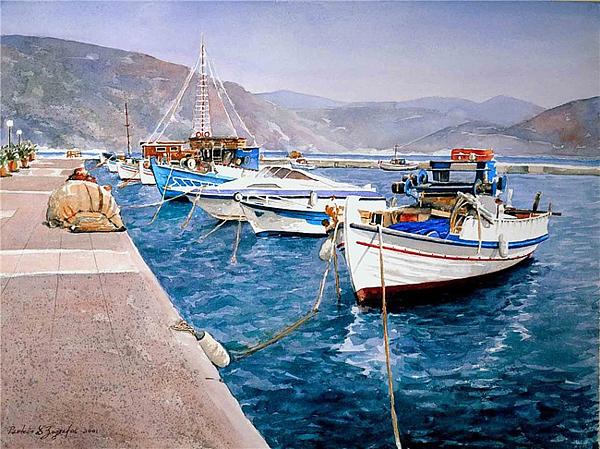 For 30 years Pantelis Zografos doesn’t live in Greece, but love to Greece and artist’s talent day-to-day call him to the canvas and paint, and there, in his studio, he paints watercolor Greece. 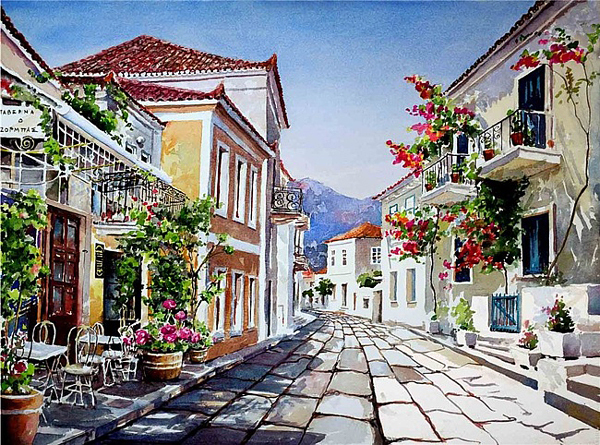 The warm sea, ancient history, little old houses and streets lined with pavement … And the riot of greenery and flowers.